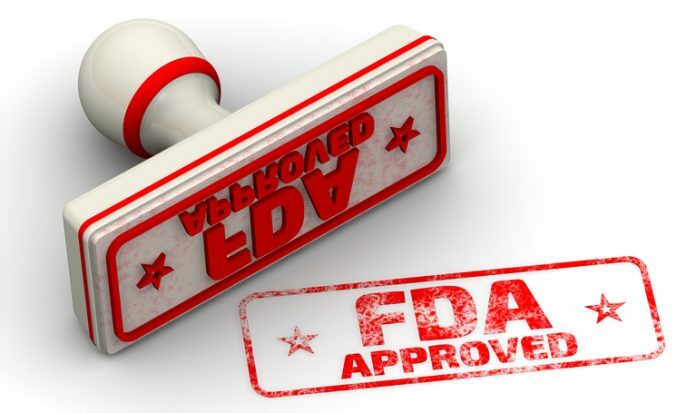 The U.S. Food and Drug Administration (FDA) approved gilteritinib to treat adults with relapsed/refractory acute myeloid leukemia (AML) with FLT3 mutation, as detected by the FDA-approved LeukoStrat CDx FLT3 Mutation Assay. The decision was based on results from the randomized, phase III ADMIRAL study that included 138 patients with relapsed/refractory FLT3-positive AML. Patients received oral gilteritinib 120 mg daily, and 21% achieved complete remission (CR) or CR with partial hematologic recovery. A total of 106 patients required red blood cell or platelet transfusions at the start of treatment, and 31% became transfusion-free for at least 56 days following treatment with gilteritinib. The most common adverse events associated with gilteritinib were myalgia/arthralgia, fatigue, and liver transaminase. Physicians should monitor patients for posterior reversible encephalopathy syndrome, prolonged QT interval, and pancreatitis. In rare cases, differentiation syndrome was observed in patients taking gilteritinib. Women who are pregnant or breastfeeding should not take gilteritinib. The ADMIRAL study is ongoing, and survival data are expected in 2019. In an earlier study of gilteritinib, the first-in-human phase I/II CHRYSALIS trial found that 49% of patients with relapsed/refractory FLT3-positive AML responded to treatment. The median survival was more than 7 months. Conversely, just 12% of patients without FLT3 mutations responded to gilteritinib. FDA approves a new treatment for patients with AML who cannot undergo intensive chemotherapy.